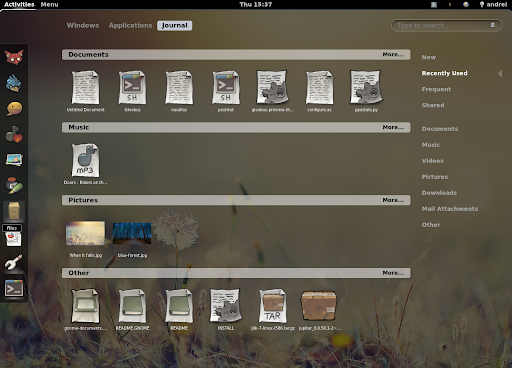 Quick update: GNOME Shell Zeitgeist extension was updated recently and it now integrates with the standard GNOME Shell search, meaning GNOME Shell will list the Journal items in the regular search under the Activities Overview. 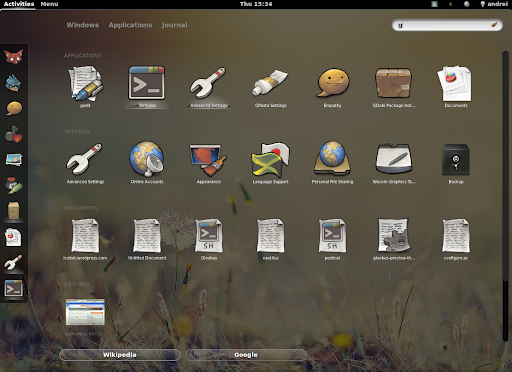 the extension now overwrites the standard GNOME Shell search and sorts the applications by most launched. you can expand the Recent, New, Frequent and Shared items by clicking on "More..."
Download GNOME Shell Zeitgeist extension (compatible with GNOME Shell 3.2). 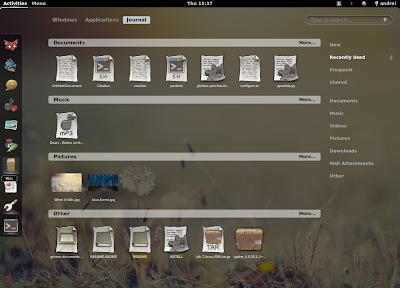 To install it, extract the downloaded archive and copy the folder to ~/.local/share/gnome-shell/extensions (or /usr/share/gnome-shell/extensions). If you've installed a previous version, remove the "gimmie@gnome-shell-extensions.gnome.org" folder. 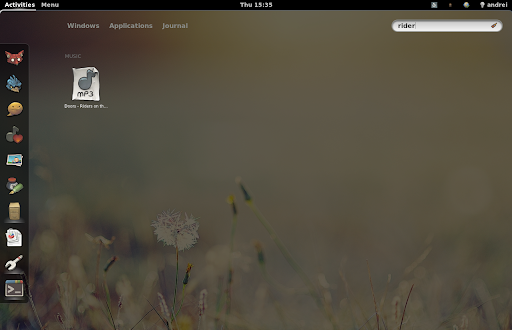 Then use GNOME Tweak Tool to activate it. The extension should start working immediately, without having to restart GNOME Shell.